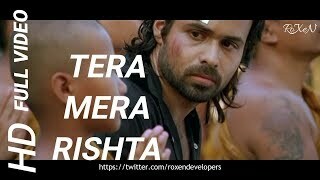 "Maula Maula" is the video song from movie Awarapan. The movie has 'Emraan Hashmi' 'Shriya Saran' and 'Mrinalini Sharma ' in lead roles... Music is by 'Pritam' & Lyrics are written by 'Sayeed Quadri'. Movie is Directed by 'Mohit Suri'. Producer of the movie is 'Mukesh Bhatt'. Please subscribe for lot of entertainment in High-Definition.